PAUL, LUC & MARTIN is a collective of directors, with a sharp artistic direction and a stunning creative input. It’s first and foremost the meeting of 3 guys who had been looking for each other for quite a long time. 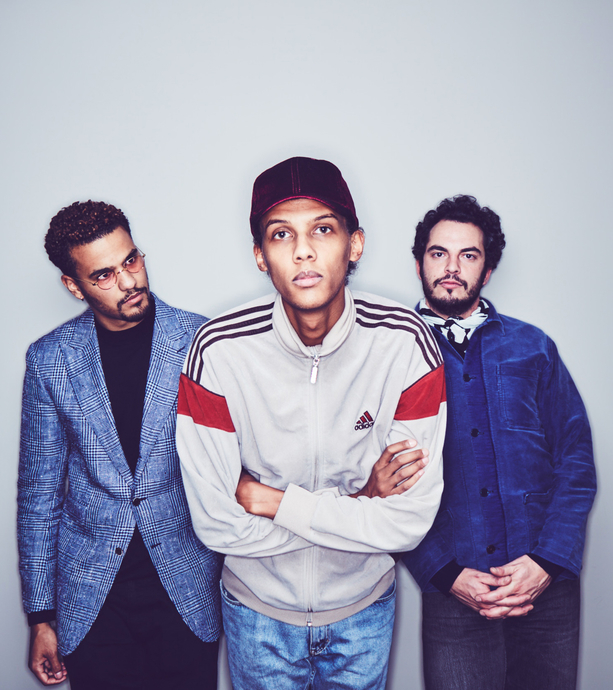 Paul Van Haver, singer-songwriter also known as STROMAE, and Luc Junior Tam, his art director, launched in 2009 the independent creative label MOSAERT in Brussels. Creating music and visual identities, directing music videos and live shows for the STROMAE project and now for other artists as well, designing a clothing line, this duo puts its sleek style on everything. Willing to expand their activity as directors, Paul and Luc decided to team up with Martin Scali. Director and photographer, Martin has been working with Wes Anderson for more than 10 years, leading him to become the 2nd unit director of THE GRAND BUDAPEST HOTEL. His projects in advertising include projects for Yves Saint Laurent and Gucci. Martin was obviously the missing piece for Paul and Luc to become Paul, Luc & Martin.